Intek Instruments is a prominent Supplier, Dealer, Distributor, Trader, Importer and Exporter of Pressure Transmitter in Delhi, Noida, Gurgaon, Haridwar, Dehradun, Baddi, Bawal, Manesar, Rudrapur, Rewari, Karnataka, Agra, Rampur, Mohali, West Bengal, Roorkee, Bangalore, Hyderabad, Chennai, Kolkata, Surat, Jaipur, Lucknow, Kanpur, Nagpur, Bhopal, Patna, Ghaziabad, Ludhiana, Coimbatore, Faridabad, Meerut, Srinagar, Jharkhand, Amritsar, Chattisgarh, Chandigarh, Aligarh, Jalandhar, Jammu, Kashmir, Bihar, Punjab, Rohtak, Panipat, Karnal, Sonipat, Haryana, New Delhi, India, Nepal. We are an Authorised Distributor for GEFRAN Italy in North India. 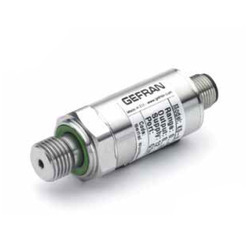 We also deals in other Brand for Pressure Transducer, i.e,BAUMER. 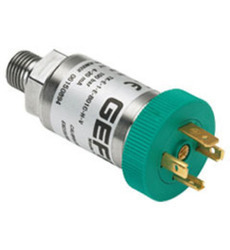 Gefran Atex Pressure Transmitter are based on Gefran proven thick film on stainless steel technology, with totally welded metal structure without internal seals, in order to be suitable with any kind of fluid. 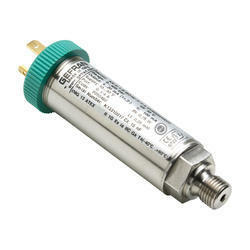 Also the housing is stainless steel made, with IP65 to IP67 degree of environment protection.This transmitter is suitable for all those applications which require robustness, safety as well as high accuracy.The KX series can be used in applications characterized by the presence of explosive atmosphere. For this reason the probes are designed and manufactured according to the ATEX 94/9/CE Directive. • SIL2 approval according to IEC/EN 62061KX. 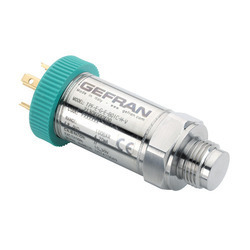 Gefran Mobile Hydraulic Pressure Transmitter - KH are based on film sensing element deposited on stainless steel diaphragm. 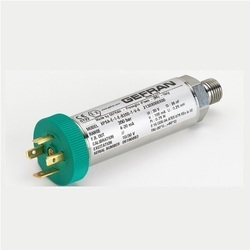 Owing to the expertise of our highly skilled professionals, we are offering an optimum quality assortment of Gefran Pressure Transmitter that usually acts as a transducer. The transmitter provided by us is manufactured with the usage of supreme quality components and innovative technology in complete compliance with market quality norms and policies. Moreover, we offer this transmitter at highly affordable rates to the clients within the promised time span. Keeping track with latest market development, we are engaged in providing our clients with a high quality range of Pressure Transmitter. Our offered transmitter is manufactured using optimum quality components and cutting-edge technology under the guidance of our hardworking team of professionals. This transmitter is quality checked on diverse parameters to assure its long service life. We provide this transmitter in different technical specification at market leading prices to the patrons. 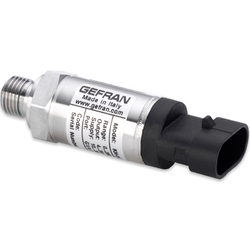 Fostered with a team of experienced professionals, we are providing Gefran Pressure Transmitter.